Try Maple-Mustard Glazed Salmon for a spicy, sweet flavor boost. 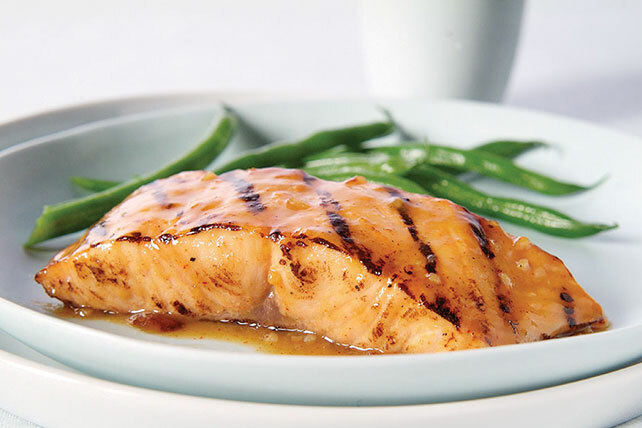 Cayenne pepper adds heat to our Maple-Mustard Glazed Salmon to make things extra interesting! Seafood night will never be the same again. Mix first 5 ingredients until blended. Refrigerate 3 hours. Heat grill to medium-high heat. Brush fish with oil. Grill 4 min. on each side or until fish flakes easily with fork, brushing frequently with syrup mixture.